At the 39th Annual Annie Awards, movies featuring anthropomorphic animal characters took many top awards. Rango was the big winner, with four awards, including Best Animated Feature. The movie with the most nominations, Kung Fu Panda 2, only won two, but one of them was Best Director for first time theatrical director Jennifer Yuh Nelson. Other such movies with wins include Rise of the Planet of the Apes, winning Character Animation (in a Live Action Feature), Winnie the Pooh, which won Storyboarding, and Rio, for Character Animation (in an Animated Feature). Puss in Boots failed to win a single award, despite tying with Rango for second-most nominations (a feline-appropriate nine). Rango's four awards came in Writing, Editing and Character Design as well as Best Feature. Rango had further nominations in the Directing, Effects and Storyboarding categories. Kung Fu Panda 2 won in Directing and Production Design. 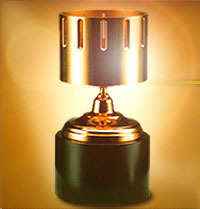 The movie's 12 nominations came from Effects, Character Animation, Storyboarding, Voice Acting and Editing categories. The Kung Fu Panda franchise had further nominations and wins, as the Kung Fu Panda: Legends of Awesomeness television show picked up multiple nominations and Kung Fu Panda: Secrets of the Masters won Best Animated Special Production. Not-so-furry movies winning awards included two wins for The Adventures of Tintin in Effects (Animated Feature) and Score, Transformers: Dark of the Moon in Effects (Live Action Feature), and a Voice Acting award for Bill Nighy as Grandsanta in Arthur Christmas. The awards were hosted by Patton Oswalt. The ceremony, unfortunately, went less than smoothly, with awards announcers opening the wrong envelopes and Bill Nighy apparently failing to appear on stage, perhaps in protest for not being nominated as Rattlesnake Jake in Rango instead. Awesome! Good to see a non-Dreamworks film not hog all the awards like the past three years.